The Lone Star State’s largest city, Houston has played an important role in the history of Texas since the city’s founding in 1837. While the city’s more than two million inhabitants never forget Houston’s colorful past, as the home of NASA’s Johnson Space Center, Houston is clearly focused on the future too. That modern outlook is reflected in the way that homeowners upgrade their homes with sparkling swimming pools and spas. The opportunity to turn a backyard into a stylish contemporary oasis for fun and relaxation is hugely appealing. 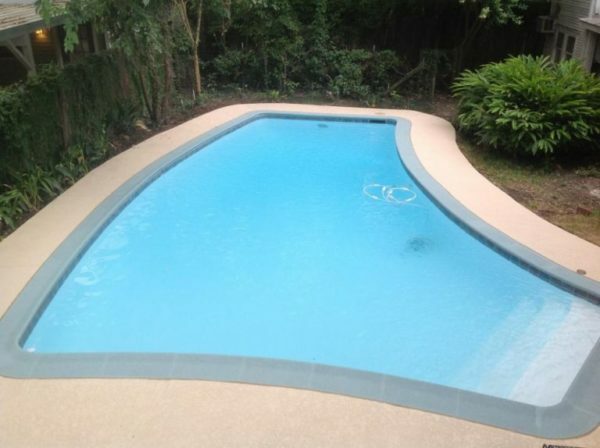 Providing quality Houston fiberglass pool repair, fiberglass pool resurfacing, pool repair and pool maintenance services, the pros at Texas Fiberglass Pools Inc. let you make the most of outdoor life in your Houston home. Experts in fiberglass pool resurfacing, the team of Houston fiberglass pool repair contractors at Texas Fiberglass Pools Inc. not only keeps swimming pools and hot tubs throughout Houston looking like new, but provides services for fountains and baptisteries too. Whether you’re on the hunt for baptistery resurfacing services or tile and coping repairs and replacements, we’re your one-stop source for everything that you need to keep your water feature fresh, clean, and stylish. 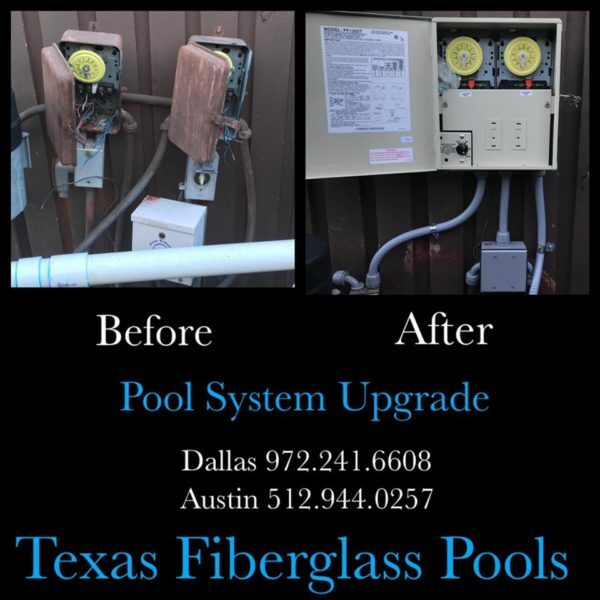 At Texas Fiberglass Pools Inc. our services range from full pool plumbing installations to deck resurfacing. We’re the company to call when you want to add a custom pool, waterfall, or spa to your Houston backyard. With Texas Fiberglass Pools Inc. in your list of contacts, you can count on quality Houston fiberglass pool repair services whenever you need them. We offer pool leak protection, detection, and repair. When a leak or crack in your pool happens, we can immediately correct it. If we find a crack or leak, all seams of your pool can be sealed and protected using industry-leading products that seal and prevent leaks from occurring. 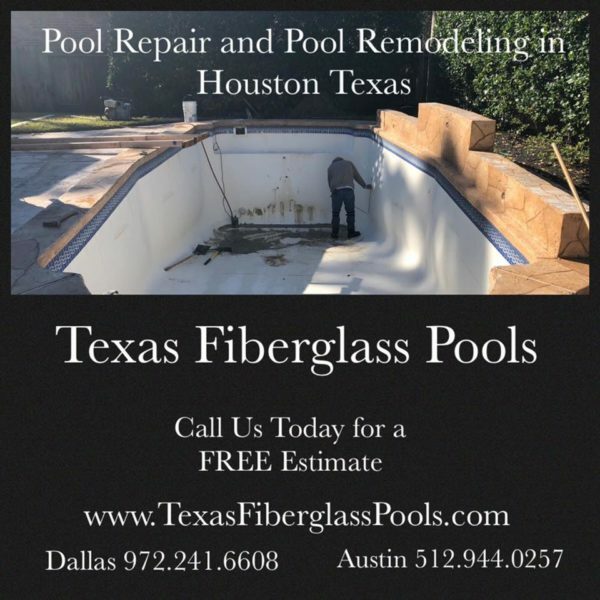 At Texas Fiberglass Pools Inc., we only use the most reliable and high quality materials for any of our repairs and renovations for our Houston customers.